For nearly 20 years, the Arizona Center for Reproductive Endocrinology & Infertility has been helping couples and women get pregnant and grow their families. Nothing brings us more joy than seeing them hold their precious little babies after battling infertility. Our work and the relationships that we build with our patients are all inspired by the mission of our Director, Timothy Gelety, MD. He believes every woman has the right to be a mother and every couple has the right to have a family. Patients come from all over the U.S.—and even the world—to work with Dr. Gelety and his team and grow their families because of his long history of achievement in the field of reproductive endocrinology and infertility. 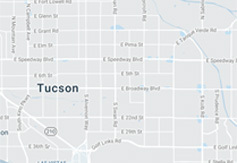 Here’s how Dr. Gelety came to Tucson and began helping thousands of people in the community successfully get pregnant. During school at Ohio State University College of Medicine, Dr. Gelety first explored the field of neurology, but instead, decided on the specialties of obstetrics and gynecology (OB/GYN), primarily because of the opportunities available in reproductive endocrinology and infertility. At the time, the first babies were being born from in vitro fertilization, and it was a very exciting area to be studying. After medical school, Dr. Gelety completed his residency in OB/GYN at the University of California San Francisco (UCSF), which was—and still is—a very prestigious program. He then went on to join a fellowship for specific training in endocrinology and infertility at the University of California Los Angeles (UCLA). With his board certification in OB/GYN and reproductive endocrinology and infertility, Dr. Gelety came to Tucson in 1995 to join the University of Arizona’s Department of Obstetrics and Gynecology as a faculty member. He became an assistant professor in reproductive endocrinology and fertility, founded the in vitro fertilization program at the university, and later went on to become the head of the Department of Reproductive Endocrinology and Infertility. The program at UA was the first to successfully use cryopreservation of embryos in Arizona and was the first to achieve a pregnancy of frozen and thawed embryos. Dr. Gelety also started the program of intracytoplasmic sperm injection (IPSI) at the university using grant funding; this led to his team being the first in Arizona to achieve a pregnancy through IPSI. While at UA, Dr. Gelety also initiated a program for egg freezing in conjunction with the bone marrow transplant program at the university. Again, they were the first in Arizona to successfully freeze immature eggs in women who were undergoing cancer therapy. In 1999, Dr. Gelety took the infertility programs he started at UA and brought them into the community of Tucson. Now, leading the team at Arizona Center for Reproductive Endocrinology & Infertility, he helps patients overcome their infertility issues to realize their dreams and get pregnant. When he meets with couples who are trying to get pregnant, he works with both the male and female partners to determine what the underlying issue(s) may be. Once it’s diagnosed, AZCREI uses modern medicine and technology to complete the appropriate procedures to allow them to have children. Sometimes the issue might be hormonal, other times it can be physical—involving problems with their reproductive organs, and with some patients, the obstacle might be more psychological and due to the stress that’s involved with getting pregnant. Dr. Gelety says his favorite parts about the field of reproductive endocrinology and infertility is that it’s both very challenging and very rewarding. The results are very positive and gratifying. When the team at AZCREI is successful, it’s a beautiful thing—families are able to grow and experience the overwhelming happiness of holding their baby. Since the beginning, Dr. Gelety and AZCREI’s goal has always been to help patients achieve pregnancy and have a bundle of joy to call their own. Contact us today by calling (520) 326-0001 or visit us online to schedule your visit. your dream of having a child. © 2016 Arizona Center For REI. Designed and developed by Raindrop Marketing.